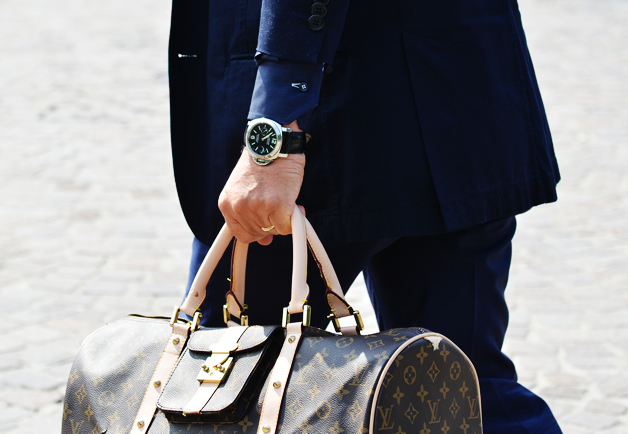 Apart from telling him what time it is, a watch also indicates the personality as well as the stature of a man. Men’s watches have also become fashion items, as many guys show off their personality and preferences through wearing of certain watches. Men’s watches can serve a variety of purposes. They tell time, often giving it in hours, minutes, and seconds. Some watches are also designed to provide the current date. A few watches can also serve as alarm. Digital watches, on the other hand, sound off the time. This is often referred to as true clocks. There’s also the complicated watch, which is a more sophisticated brand of watch. It can either serve as a stopwatch. Likewise, it can provide information such as exhibition of the lunar phase. Let’s look into the distinct types of men’s watches. Chronograph watches are one of the earliest and time-honored timepieces. It essentially works like the ordinary stopwatch. For the past 100 years, chronograph watches has been keeping tab of the time through various ways. Apart from the general timekeeping, there are other dials which keeps tab of specific measurements of time. Tabs can be up to four, with each tab made for a distinct function. There is a dial for seconds, minutes, hours, and even for measurement of distance and speed. Automatic watches, on the other hand, are very popular among guys since they can be worn daily. They are referred to as self winding watches simply because of the manner they work. The wrist’s movement puts the rotor in a circular rotation. Because they do not rely on batteries, automatic watches are one of the best selling types of men’s watches. There are also specialized types of men’s watches like diving watches. As the name suggests this type of watch is water proof helps divers during their activities. Diver’s watch is resistant against moisture from weather and dust. Typically it can resist depth between 200 to 300 meters. There are many other types of men’s watches in the market. All of them offer distinct features and designs that appeal to a large majority of men. However, how does one choose a good watch for a particular guy? There are some good ways to determine the type of watch that a man will appreciate. The background of a guy and his interest are factors that one should consider before buying a type of watch. If the guy works in a corporate setting, giving him a dress watch is a good choice. Dress watches are known to be stylish and elegant, which is perfect for the corporate setting. Dress watches are usually made out of stainless steel. There are dress watches that are accentuated with gold, and silver, and other premium materials. If the guy is the sporty type, then give him a sports watch. Sports watches can help him keep tab of the time as well as his heart rate, among others, that can be of good help especially when he works out in the gym. Of course, if your guy loves diving, a diver’s watch suits perfectly. You can also give computerized wristwatches. Some of these computerized wristwatches contain specialized functions like calculators and calendar capabilities. After deciding what type of men’s watches you want to give, look also into the other parts of the watch. You should consider taking a wristwatch with stainless steel strap because it is durable and classy. Leather straps are good however they cannot be worn in all occasions. The face of the watch should also look good. Normally, guys love big watches. This actually makes sense since most guys have big wrists anyway. You can also give him a special edition watches that come out occasionally. For starters you can always go online and check out the many new designs and types of men’s watches. Compare prices and read reviews from buyers. After making a short list, go to a nearby store and ask for the type of watch you would like to buy.